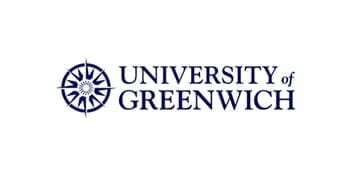 The University of Greenwich is a large and diverse institution offering a taste of city and country across our three campuses: Avery Hill and Greenwich in London, and Medway in Kent. We are proud of our wide multi-cultural student body. People from more than 140 countries choose to study at Greenwich, part of a community of 4,200 international students and 1,150 EU students. The university’s vast portfolio of masters and degree programmes, including combined degrees, allows a wide range of subject options. A resource base of highly qualified staff, with wide-ranging expertise and significant links with business and industry, coupled with over 26,000 students from a variety of backgrounds and countries, provides an imaginative and affluent learning experience for all. We are delighted that you have taken the time to visit our web pages. The International Office is a dedicated department here to help you with all aspects of your application, from obtaining your visa to arriving in the UK to study. Contact us today to see how we can help you with your future study plans. Don’t settle for a mediocre job or career. You can secure the graduate job you have always wanted. The Employability & Careers Service is here to support you in achieving this goal. We provide Graduate internship opportunities; we have job board which you can use for searching jobs, workshops and events. You can develop your experience and skills through volunteer work. There is E-learning centre – including a CV builder within the facility for the students to use. The university offers a range of welfare and support services to help you make the most of your time with us.